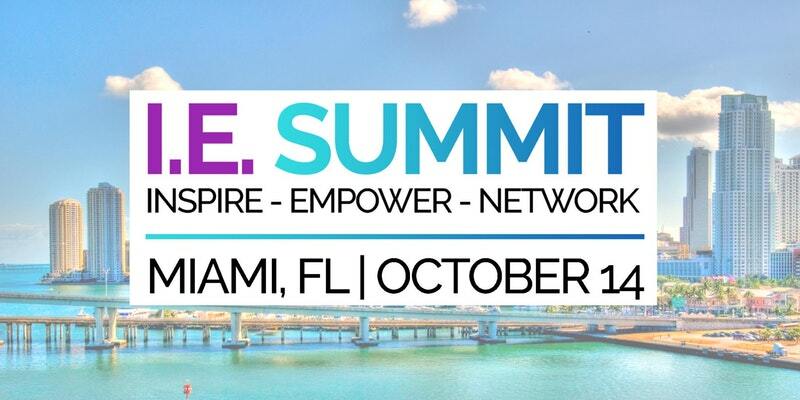 The State Department’s Bureau of Educational and Cultural Affairs Office of Private Sector Exchange is linking up with the Global Ties U.S. Network. In partnership, we are launching a pilot project that explores ways that Global Ties’ network of Community Based Members (CBMs) can partner with U.S Department of State Designated Sponsors to provide cultural activities and volunteer opportunities to exchange visitors in local communities. These pilot projects provide additional opportunities for exchange visitors to experience United States society and culture and engage with Americans as well as complement the cultural activities already being hosted by U.S Department of State Designated Sponsors, host organizations and entities, and Community Support Groups across the country. These efforts enable the Department to successfully fulfill its mission to foster mutual understanding between Americans and citizens of other countries. Events are open to participants of all J-1 Visa program categories unless otherwise indicated. During the summer and fall of 2017 Initial Pilot Organizations will be launching pilot projects in their local communities. See full list of events on the J-1 website. What is the Global Ties Network? The members of Global Ties U.S., located in more than 100 communities across 45 states, are community-based organizations that administer a variety of international exchange and cultural programs for the Bureau of Educational and Cultural Affairs mostly for the International Visitor and Leadership Program in their local communities. The Summer Exploration Extravaganza is here! Fill yourself with a leisurely lunch at the Mars Grill before enjoying a guided tour of the U.S Space and Rocket Center including Saturn V hall. The afternoon is topped off with a showing of an Imax movie in the 67-foot Spacedome theatre! Only 40 spaces are available. Don't miss out! Go to http://bit.ly/2vme8fs to sign up for the event. See promotional flyer. Spend a day at the Grand Canyon, Americaʼs most known and desired National Park. Located in the Northwest corner of the state of Arizona, this one-day excursion is the perfect opportunity to explore a natural wonder of the world while you are here. You will depart Scottsdale early in the morning and be taken to the canyon, where you will have 4-5 hours to explore the South Rim. Lunch is on your own at the canyon at one of the many options available. Your return to the Scottsdale area will be in afternoon, and extend into late evening. Plan for a 12-15 hour day, depending on traffic and number of needed stops for the group. Details offered at registration. 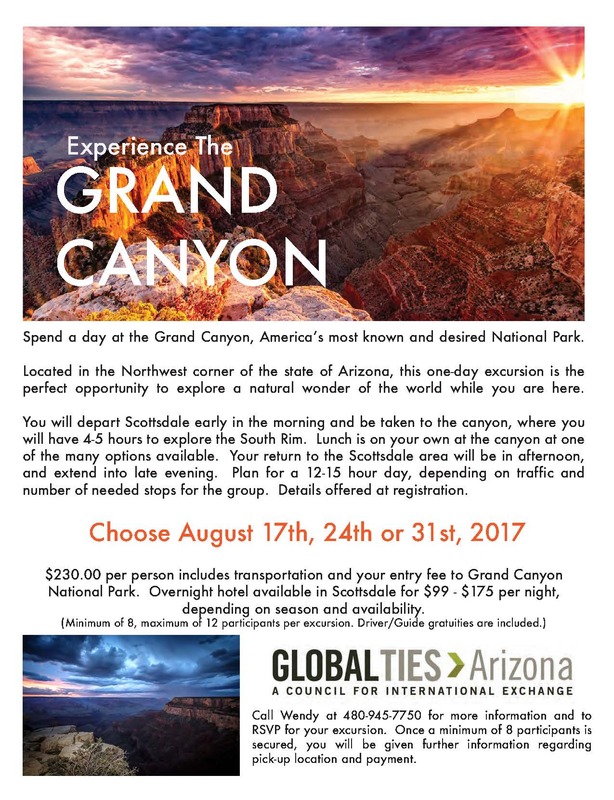 Call Wendy at 480-945-7750 for more information and to RSVP for your excursion. See promotional flyer.